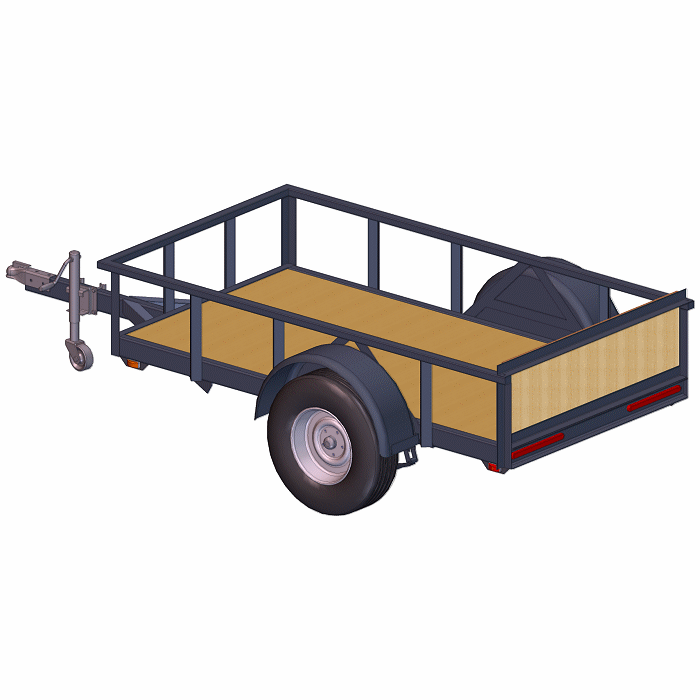 A 4×8 utility trailer is a great size – perfect for odd jobs or hauling for a motorcycle. This 3500 lb capacity version is rugged and built to haul a lot of stuff — yet, the 4ft width also makes this easy to tow behind a mid-sized vehicle (see your vehicle specs.). It’s also easier to store! 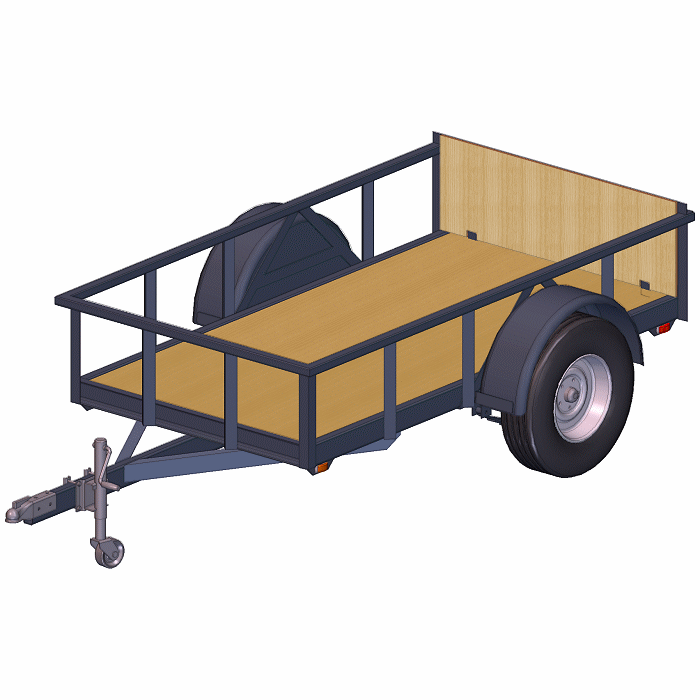 If you need plans for a small sized, very tough utility trailer, look no further. Single Axle, 3500 lb. Capacity, Leaf Spring Style — with Straight or Drop axle options. Mixed Tube, Channel and Angle construction for lightweight and easy fabrication. Multiple Sides options, or build a flat bed, because sides are optional. Plans include complete drawings and our illustrated instructions. Design options maximize utility and usefulness and allow trailer customizing for your particular needs. The base trailer is a flat bed, but things like sides, a top, or tailgate are easy additions. Then add extras like a motorcycle stand, a ramp, tie-down bars, and toolbox mounting (also in the plans) for the perfect 4×8 utility trailer. Trailer bed size is slightly larger than 4 ft. wide x 8 ft. long, and will accommodate full 4×8 sheet goods laying flat. 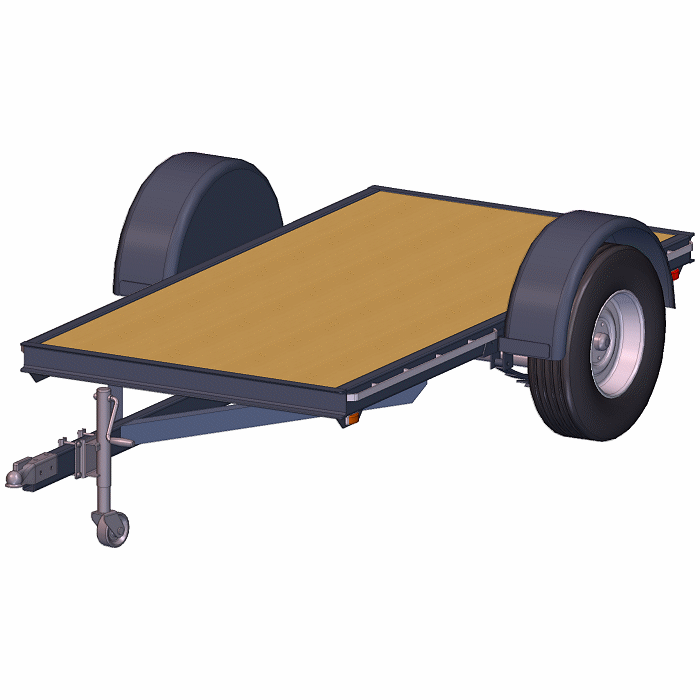 This 4×8 utility trailer has a Max capacity (depending on options) of 3500 lbs. * including the trailer. Trailer weight varies with design options — from 550 lbs (minimal flat bed) on up. Need Something A Little Lighter Duty? See the 4×8-2000 lb. 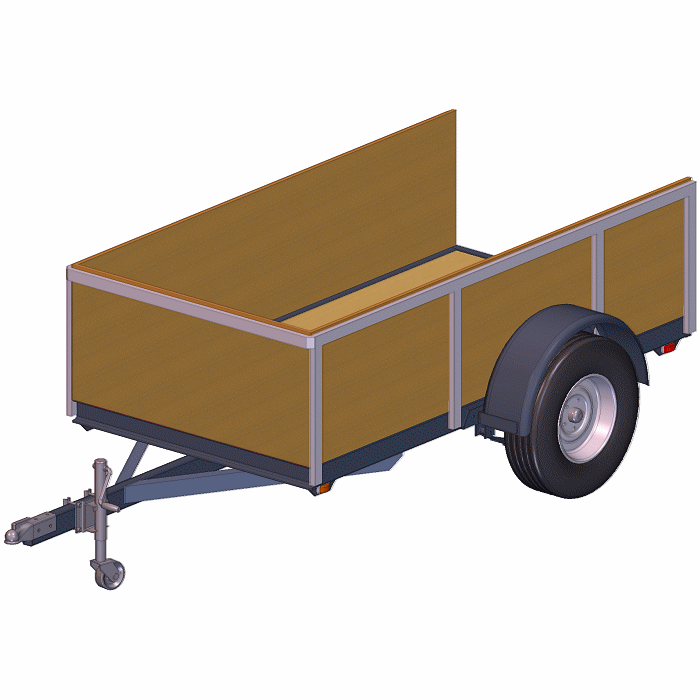 Utility Trailer. Want Something Wider? Check out the 5×8-3500 lb. Trailer Plans.